This prop file folder was utilized by the character Capt. Frank Ramsey portrayed by the actor Gene Hackman in the motion picture "CRIMSON TIDE." 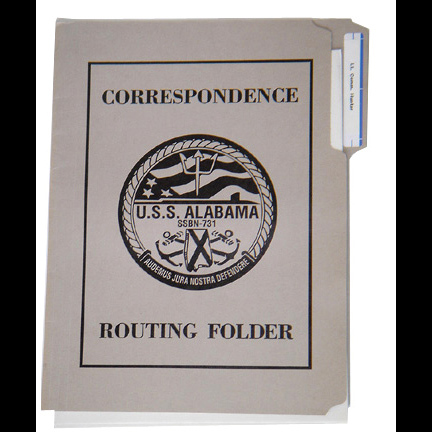 The cover of the folder has "Correspondence", USS ALABAMA, ROUTING FOLDER" and the US Navy Seal printed in black ink. The folder contains numerous sheets of paper with the breakdown of "Missile Readiness Test Results". 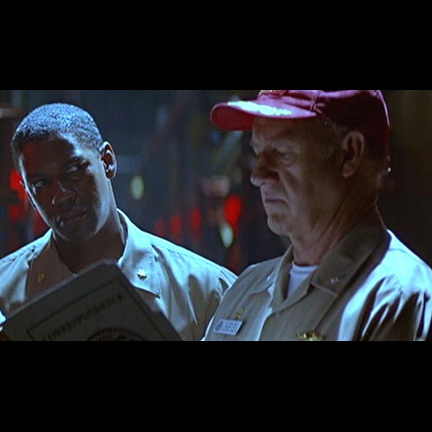 Gene Hackman's character holds the folder while assessing the results with Denzel Washington's character Lt. Commander Ron Hunter. Accompanied by a letter of authenticity from the films prop master.